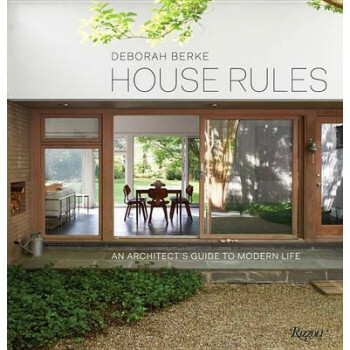 House Rules documents the beauty and relevance of Deborah Berke's vision by articulating eight guiding principles to achieve an enriching domestic space. Her rules range from how to design a meaningful sequence from indoors to out, to the need for abundant storage to live an uncluttered life. House Rules delves deep into Berke's working process and her thoughtful approach to design, showcasing more than fifty residences. An inspiring guide for home owners and those aspiring to build a house, House Rules also addresses such timely factors as environmental sustainability and innovative construction techniques. Drawing on these examples of her user-friendly contemporary designs, House Rules demonstrates how to craft a serene space for modern living. Photographs of compelling details richly illustrate her principles, underscoring both the poetry and practicality of her ideas.